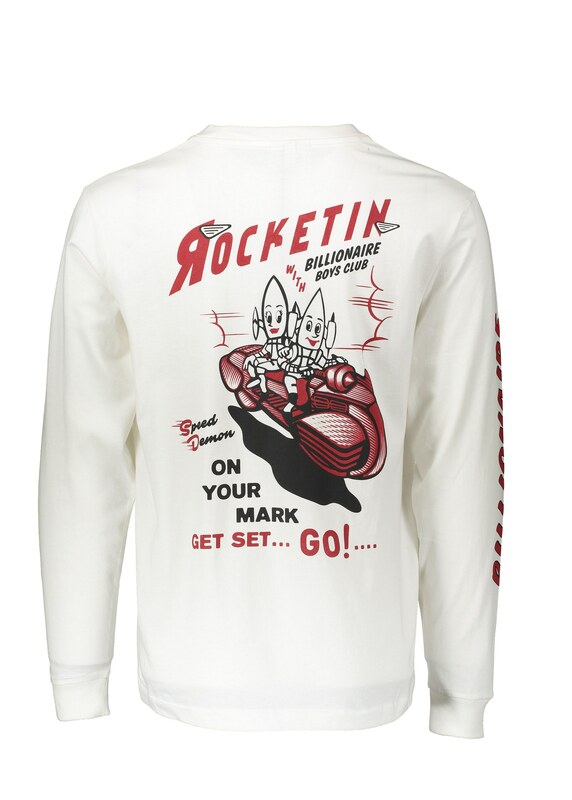 The Rocket Riot Long Sleeve Tee from Billionaire Boys Club is a classic example of the brand's early influence of vintage si-fi imagery. 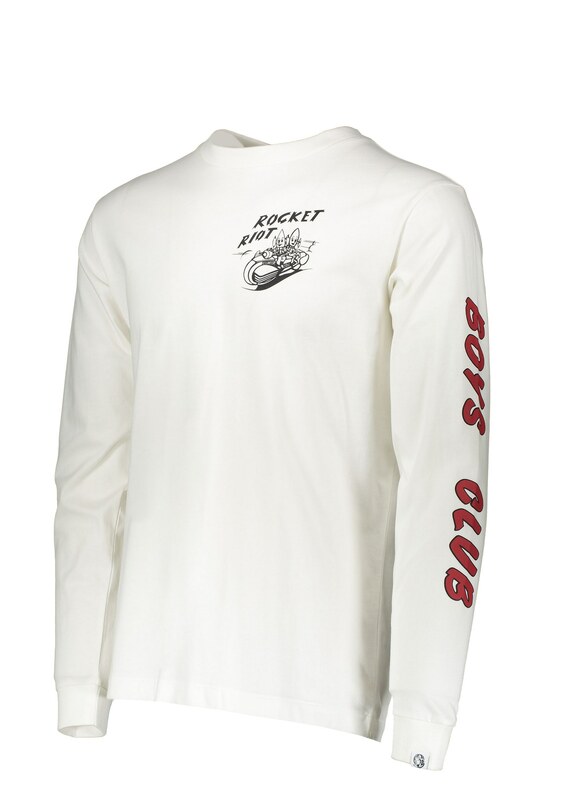 Crafted from a soft 100% cotton, the versatile tee features a large Rocket Riot motif on the back with a smaller version on the chest. 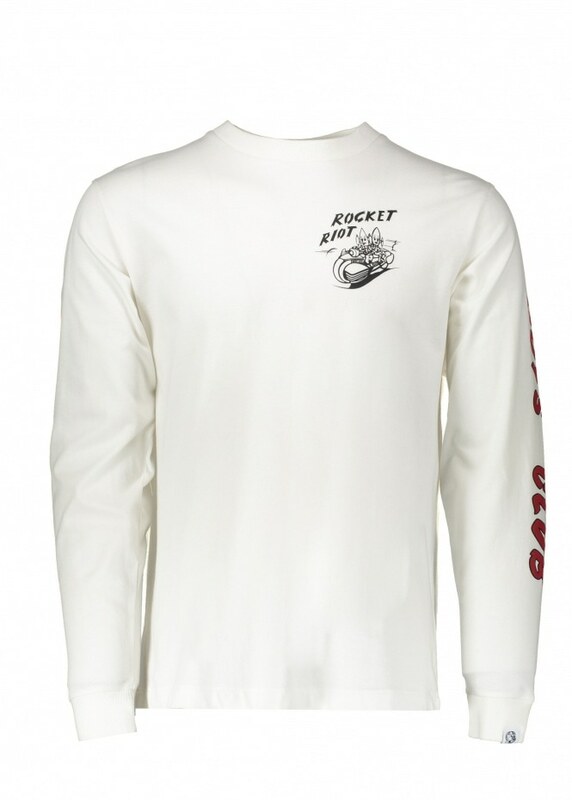 Finished with large Billionaire Boys Club branding on the sleeves the LS Tee comes with ribbed crewneck and cuffs for a classic feel.